Ashley Andrews’ bright mixed-media work Je Suis Un Fleur fills this minimalistic space with a vibrant, electric energy. 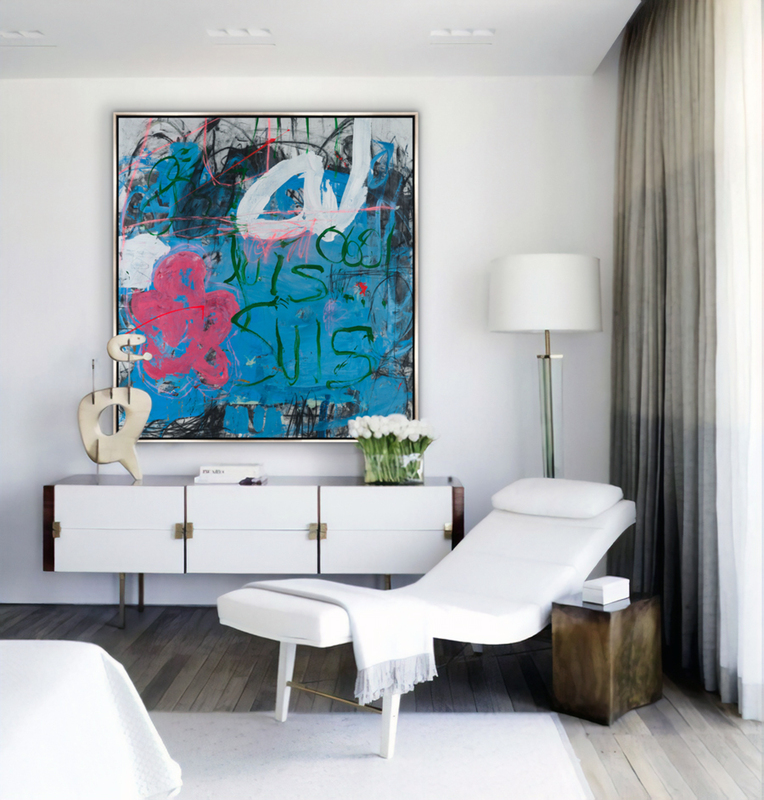 The expressive, charged marks in the composition, paired with its bold color palette, bring a dynamic element of surprise to this neutral space. Soft whites throughout invite art that adds bold, striking contrasts. 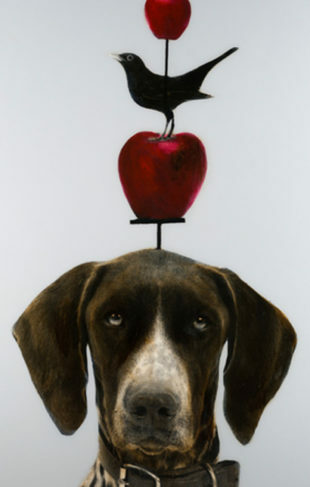 To view Ashley Andrews’ works in person, visit the gallery closest to you.